Artworks and Exchanges explores the ‘social turn’ in contemporary art by showcasing new and re-presented community-engaged art works. This exhibition is part of the Spectres of Evaluation conference, presented by the Centre for Cultural Partnerships, University of Melbourne and Footscray Community Arts Centre. Spanning two sites connected by the Maribyrnong River – Footscray Community Arts Centre and the Incinerator Gallery - the program explores tensions that exist among representational practices of art (exhibition, object, performance, presentation) that address social engagement in both form and content (intervention, interruption, event, exchange). 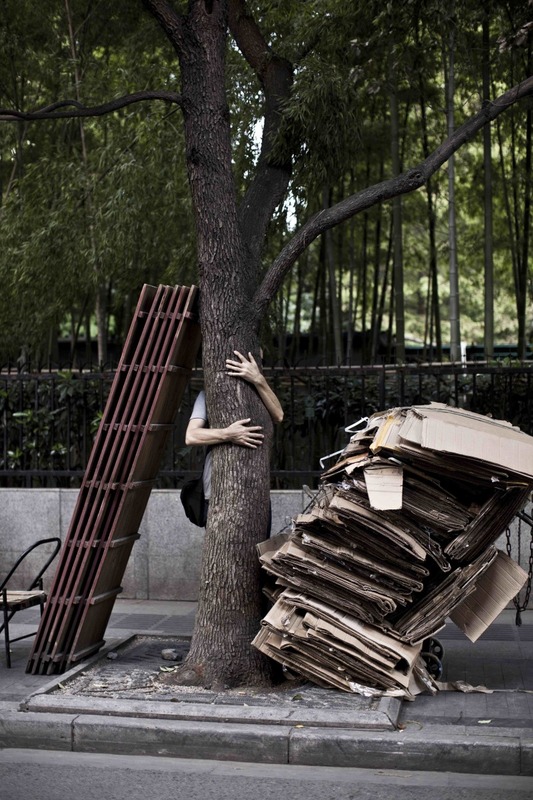 Tree hugging in Shanghai's urban forest for an exhibition this week. 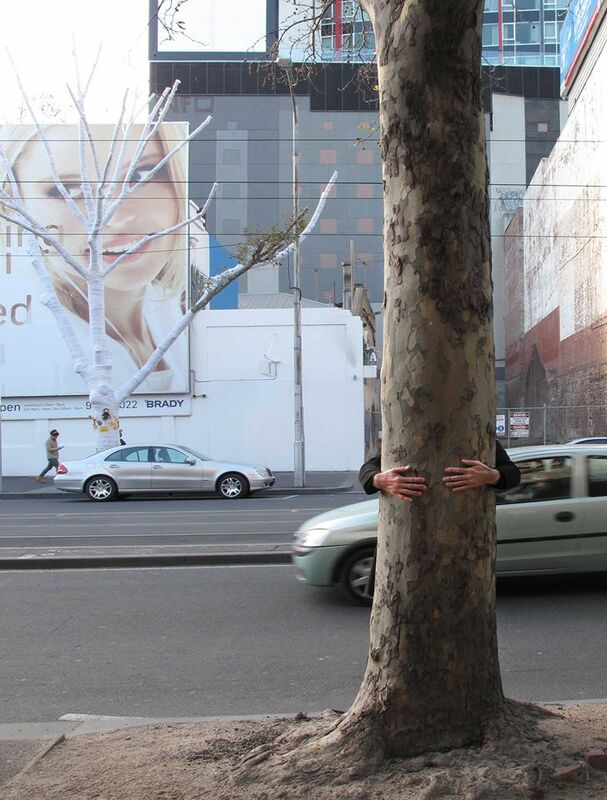 Artists Louise Lavarack and Peter Burke have teamed up to create an art installation aimed at highlighting the value of the city’s trees. Triage is a roadside memorial to a dying tree near the Queen Victoria Market in Melbourne. The 30-year-old plane tree, on the corner of Elizabeth and Therry streets, was severely pruned and poisoned through a hole drilled in its base last year. The council desperately tried to save the tree but couldn’t, so they decided to use it to draw attention to tree vandalism. The artists used a cherry picker to wrap the tree in wadding and gauze bandages, installed a floral tribute at the base where passersby are making their own contributions. It’s dirty out there, filthy in fact and who’s going to keep it clean? A unique mobile cleaning and grooming service that reaches out to the great unwashed with a long mop and some latex gloves. Cleansing the crud and sanitising the soul live on the streets in a unique performative event that elevates the mundane and celebrates the beauty of a blemish. Peter Burke, Jason Maling and Torie Nimmervoll will be servicing the soiled heart of Melbourne in a 12 hour enduro-clean marathon from 7pm – 7am, on Sat 23rd Feb 2013 as part of the wonderland precinct of White Night. They will be sterilising and decontaminating the tarnished and smeared, as well as rescuing plastic shopping bags from trees. Their White Night special service will also include personal grooming – loose nostril hair, broken flip-flops and bad language mouth rinses. Catch Pursuit at the India Art Fair from Thursday 31 January to Sunday 3 February. In collaboration with Gallery Nature Morte, Pursuit presents Ajay Desai, Dileep Sharma, Gauri Gill, Hema Upadhyay, Jagannath Panda, Jayanta Roy, Josh P S, M. Parvat, Madhvi Parekh, Manil Rohit, Manisha Parekh, Mona Rai, Nidhi Agarwal, Princess Pea, Ramakrishna Behera, Raqs Media Collective, Samit Dass, Tauseef Khan and Thukral & Tagra. India Art Fair, NSIC Exhibition Grounds (Okhla), New Delhi. Pursuit's roaming gallery presents 100 artworks by 32 artists at Artstage Singapore. Marina Sands, Singapore, 26–27 January 2013, 11am–6pm. Pursuit, Australia's leading mobile gallery representing the nation's most collectable contemporary artists, is back in town. Pursuit has a vested interest in tailoring blue chip opportunities for well-suited collectors. Visit Pursuit at the Melbourne Art Fair this week. COLLEEN AHERN, JANELLE ARENA, CATH BARCAN, PAUL BORG, PETER BURKE, CAROLYN CARDINET, SUE DODD, MERRIN EIRTH, DAVID GLENISTER, SAMIRA GHASEMPOUR, MICHAEL GRAEVE, BRIDGET HILLEBRAND, KIM HYONJU, KYOKO IMAZU, TASSIA JOANNIDES, DAMON KOWARSKY, TIM LANE, LOUISE LAVARACK, JOHN R NEESON, JOHN NICKSON, ANNA PARRY, JULIE PATEY, DREW PETTIFER, PRINCESS PEA, PHIL ROUBIN, SHANNON SMILEY, KIERAN STEWART, IRENE WELLM and many more! 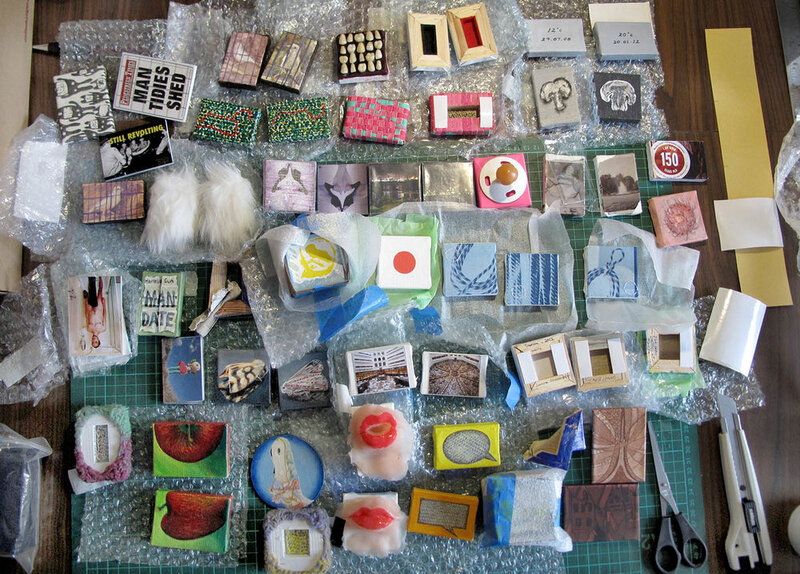 Findings (Gloves from Melbourne) will be exhibited as part of the Swan Hill Print and Drawing Award Exhibition at the Swan Hill Regional Gallery from 13 May – 18 July 2012. Times Square - September 2011. Brook Andrew (AUS), Peter Burke (AUS), Angela Cavalieri (AUS), Sue Dodd (AUS), Christopher Hanrahan (AUS), Bridget Hillebrand (AUS), Danius Kesminas (AUS), Barbara Kruger (USA), Richard Lewer (AUS), Mike Parr (AUS), Simon Pericich (AUS), Matt Shannon (AUS), Heather B Swann (AUS) and Imants Tillers (AUS). 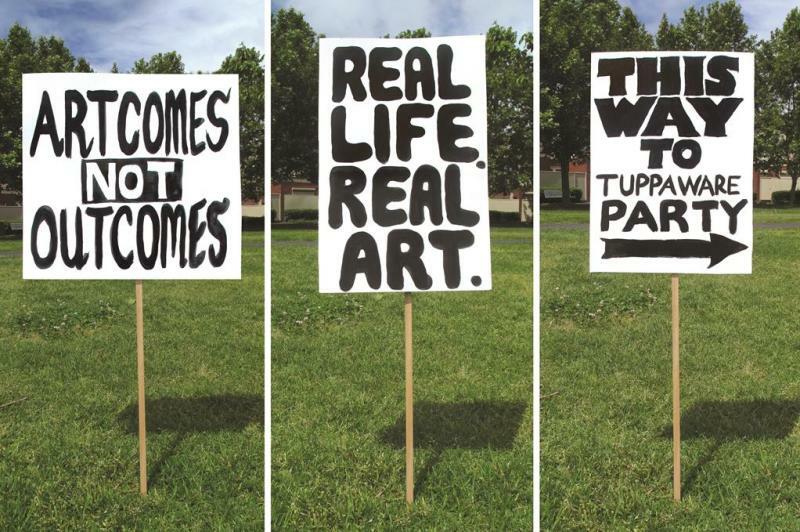 Field Theory is a Melbourne based collective who support four art projects during a year. By subscribing to Field Theory, you can become a member and propel these projects into existence. In return, you will receive four limited edition artworks over the next twelve months. Seeing to a distance: Single channel video work from Australia features works by 26 artists responding to 'act', 'abstract' and 'interact'. 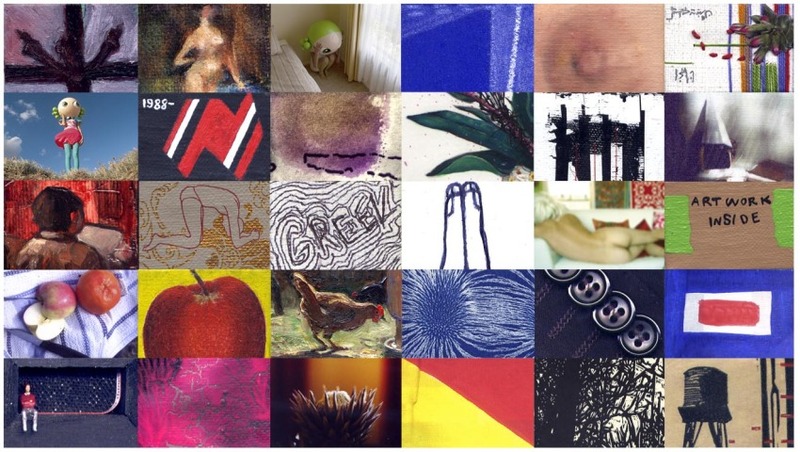 It opens at the Level 17 Artspace, 300 Flinders Street, Melbourne from 2-26 August 2011. 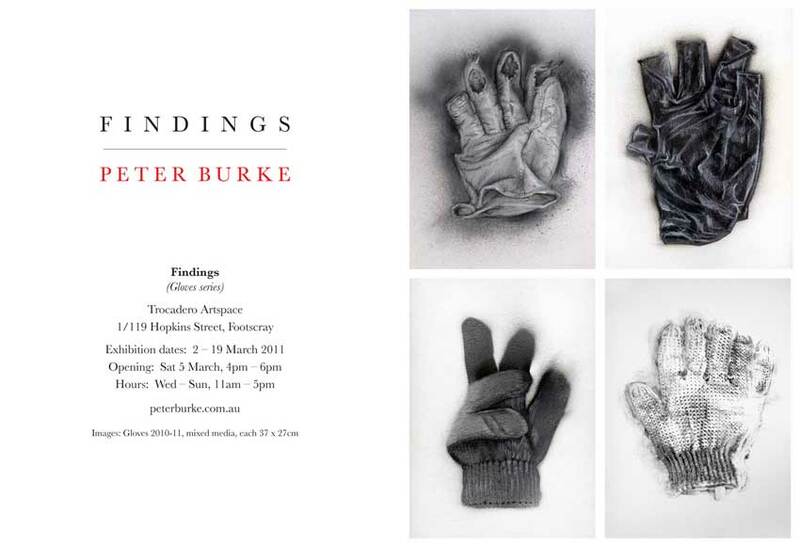 Findings is an exhibition of 74 images of hand gloves gleaned from fence posts, footpaths and roads while riding my bike to and from work in the inner city of Melbourne over the last year. Lost, discarded or left behind, the gloves speak of human ownership – remnants of routines and actions, and marked with creases, stains and deterioration – each with their own story to tell. Each drawing is rendered using a combination of charcoal, conte pastel, graphite, gouache and enamel on paper. The exhibition runs until March 19, 2011 at Trocadero Artspace. Lost Property is an ongoing series of drawings of articles, lost, discarded or left behind, which trace routine trajectories and map passages of time. 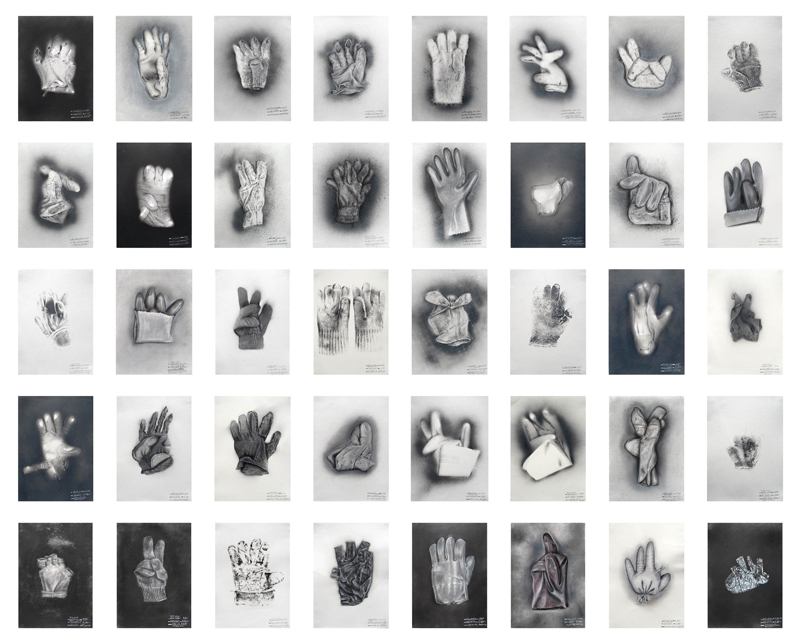 This exhibition of drawings represent 18 of the 55 gloves found while riding my bike between home and work from June to October this year. The exhibition has been extended to December 31. PURSUIT is Australia's hottest new art gallery showcasing the nation's most collectable artists. PURSUIT is a unique viewing experience, takes the hassle out of buying art and offers blue chip investments to discerning art collectors everywhere.Twenty-five original paintings, drawings, photographs and prints were sold in a stunning group exhibition called ART FLASH coinciding with the Melbourne Art Fair from 4 – 8 August 2010. PURSUIT has smashed Art Fair records, selling more artwork than any other gallery – making a significant contribution to the Fair's total sales of $12.1 million. Below: Peter Burke, PURSUIT Gallery Director, at the vernissage of the Melbourne Art Fair 2010. PURSUIT has the capacity to display 40 artworks and comes with its own lighting system and stockroom.